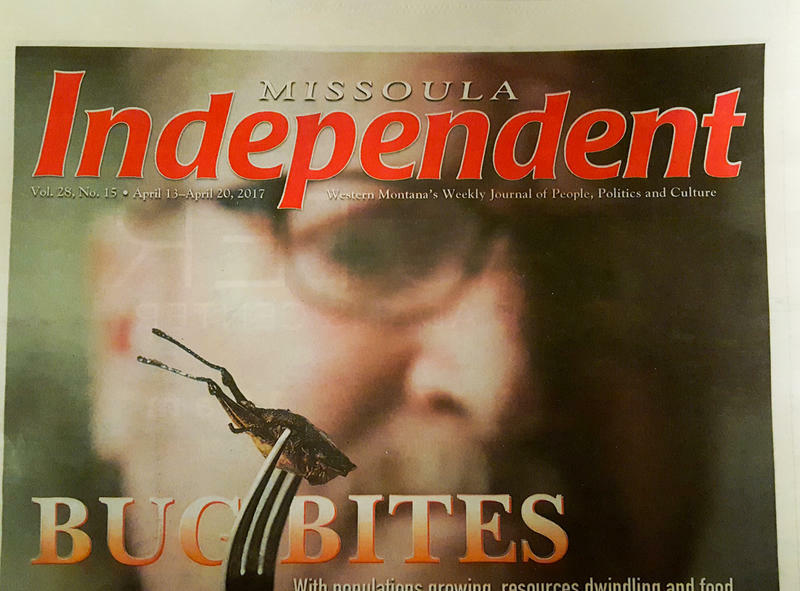 The Missoula Independent newspaper that hit the stands last week will be its final edition. Lee Enterprises announced Tuesday it has shut the paper down nearly a year and a half after buying the alternative weekly. That now-spiked story was a profile on outspoken Missoula City Councilman Jesse Ramos. Lee officials informed the Indy staff early Tuesday morning that the company closed the paper and that staff needed to schedule appointments to retrieve their personal belongings. The paper unionized back in April of this year and was in the middle of its first contract negotiations with the publishing giant. Brouwer, who was also a member of the paper’s bargaining committee, says the union rejected a recent Lee proposal to cut three-quarters of the paper’s staff. Brouwer’s take on why Lee decided to shutter the Indy? We asked Matt Gibson for an explanation but heard nothing back. Gibson used to own the Indy before he sold it to Lee last year. He then became the general manager for the Lee-owned Missoulian, Ravalli Republic and Independent. Gibson did however say in a story posted by the Missoulian Tuesday that the Independent was losing money and not financially sustainable. Lee Banville wonders if the Indy’s parent company tried hard enough to make a go of it. He doesn’t think Lee tried very hard to reinvent the weekly newspaper model. "I don’t see a big shift in the Indy from this week than it was the week before it was purchased by Lee," he says. Banville is an associate professor of journalism at the University of Montana. Banville’s not the only one who think so. A screen capture from the Missoula Independent website, March 19, 2018. Dan Brooks, a local freelance writer, was not a member of the Missoula News Guild. Brooks shares UM professor Lee Banville’s belief that more journalists will increasingly be tempted to unionize. Union or no, the Indy is gone and not coming back. Attempts to find that bitcoin story, or any other Missoula Independent story online, are futile. At the time of this recording, if you go to the paper’s webpage, you’ll be redirected to the Missoulian newspaper’s homepage. Freelance writer Dan Brooks adds that the Indy’s readers appreciated its unique voice and attitude. Former Indy reporter Derek Brouwer meanwhile is pondering his next move. I asked if he regretted his vote to unionize the paper. 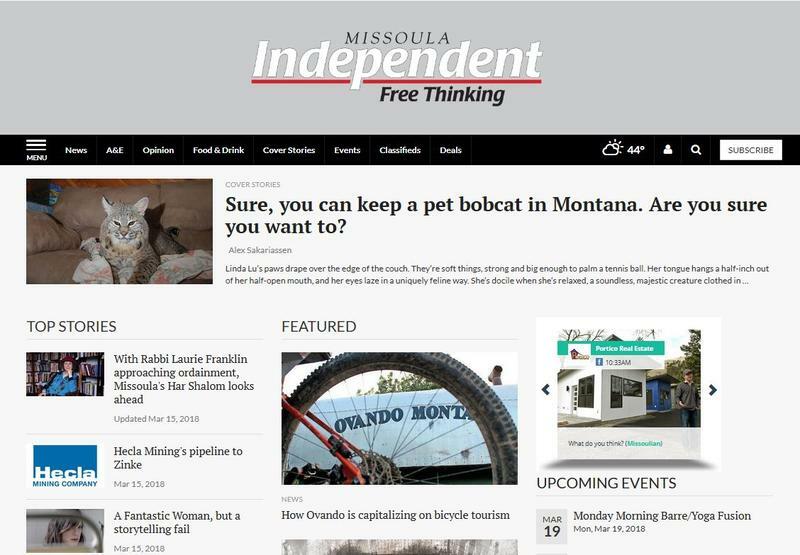 Staffers at the Missoula Independent newspaper say its parent company, Lee Enterprises, is threatening to gut the alternative weekly. Monday, the paper turned to its readers for help. 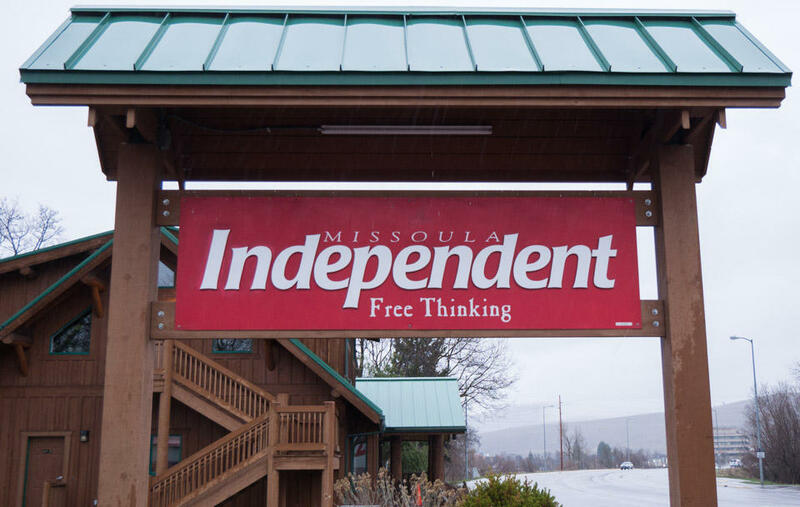 The Missoula Independent’s staff unionized earlier this year, making it one of only a handful of union papers now owned by publishing giant Lee Enterprises. Did Missoula Just Get A Little Less Weird? Lee Enterprises, which owns the Missoulian newspaper and several other papers in Montana, announced Thursday it’s purchased the Missoula Independent. The sale price was not disclosed. The Independent, a weekly alternative paper, was founded in 1991 and is distributed at almost 500 locations in Missoula, Ravalli and Lake counties. Lee operates papers in 21 states and is estimated to reach almost 3 million readers in print alone. Staff at the Missoula Independent weekly newspaper voted unanimously this afternoon to unionize. A year ago, Lee Enterprises bought the Independent. Iowa-based Lee owns papers across 21 states, including in Billings, Butte, Helena and Missoula. Derek Brouwer of the newly formed Missoula News Guild says unionizing will protect the Independent’s editorial and stylistic independence. Staff at the Missoula Independent are making strides to unionize. All 10 of the alternative weekly paper’s non-management employees supported filing a petition with the National Labor Relations Board, sent Monday, to begin the process.